To any who are Orthodox and living in the West and feeling alone – fear not. You are part of a brave new frontier – you are on the front lines. It is not a cause for despair, but a challenge to be embraced, a cause for joy that we can be a part of God’s plan for our lives to bring love and hope in Christ to others. To choose Orthodox Christianity here in North America is to immediately place oneself apart from the majority. 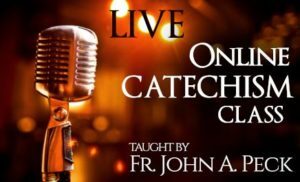 I learned this firsthand the other night when I went to the local gathering of Christians at the pub known as Theology on Tap – an event where one could discuss theology and faith over a pint in a semi-organized fashion. The uncomfortable part was that I was the only Orthodox Christian present; all the rest (62 in total!) were Roman Catholics. Add to this the awkward fact of my being a former Roman Catholic, and the feeling of being alone set in rather heavily. However, it gave me some real food for thought. We Orthodox in North America are beyond being a minority. We are alien not only to the secular world around us, but the world of other Christian confessions as well. 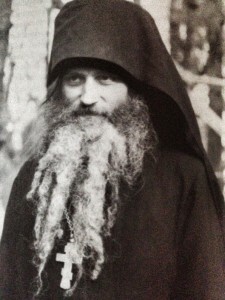 Unlike Protestantism and Roman Catholicism, we still stand out in a stark manner: our priests, monks and nuns actually look like priests, monks and nuns; our churches seem like foreign worlds with their icons, candles and heavenly chant; everything about us as Orthodox Christians seems so otherworldly when compared to the culture that surrounds us. We stand out – and many of us who were punks, metalheads and goths know the feeling well. “light so shine before men” (Matt. 5:16). 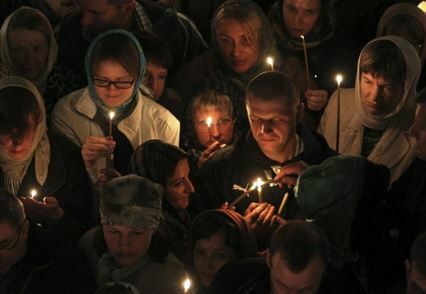 Simply the fact that we are Orthodox alone shines light in itself, due to the fact that in the West, few have even heard of Orthodoxy and even fewer know anything about it. This was proved by one of the questions at Theology on Tap, when a Roman Catholic spoke concerning the “Eastern Orthodox tendency to over-divinize Christ” (a question, I too in ignorance, once asked as a Roman Catholic). When I tell others I am Orthodox, the next question that usually comes up is “Are you Greek or Russian?”, or “You mean Orthodox Jew?”, almost without fail. As you can see, Orthodoxy is still largely a mystery in North American culture. It is certainly easy for us in the West to pass over Orthodoxy as an actual way of life when we are discerning Christian truth and what confession to adhere ourselves to. The evangelical world often presents a “cheap grace”, a kind of path of ease with its notions of “getting saved” and “eternal security”. The Roman Catholic Church, despite our being the second largest Christian body in the world, still overpowers us with its size and influence – simply compare when Pope Francis says anything to when our Ecumenical Patriarch or one of the other Patriarchs speaks – the former garners headlines almost every time, the latter almost never. So if the searching soul in North America looks at the world of Christianity, it is often only two options that present themselves – Rome or Geneva, Catholic or Protestant of some kind. This is why I think that we Orthodox so desperately need to make ourselves known and heard in the West, to show other Christians their past, to show others the Truth of our faith Who is Christ. As Blessed Fr. Seraphim Rose noted, this is not done by evangelical street-preaching and door-knocking, which more often than not only serves to irritate others and make them even more disinterested. 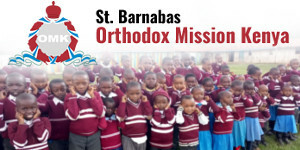 Orthodoxy is not a message to be peddled as though it were simply a product for a sales pitch. 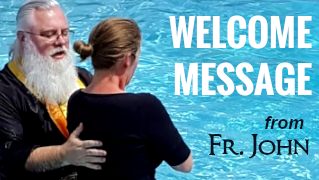 It is life in Christ, and thus, it is through living this life authentically as Orthodox Christians that we can evangelize the world around us. So, to any who are Orthodox and living in the West and feeling alone – fear not. You are part of a brave new frontier – you are on the front lines. It is not a cause for despair, but a challenge to be embraced, a cause for joy that we can be a part of God’s plan for our lives to bring love and hope in Christ to others. Let this be a consolation to any of us who are a part of the little flock here in North America, and a reminder that we are never alone. I really needed this…THANK YOU! Raven, you’re in good company. Francis is quoted largely to misquote him or to present him as if he were finally going to get rid of all that rotten reactionary stuff about contraception & abortion & no to the insanity of drag marriage – when in reality he has restated all of these, but from a direction the corporate scribbles don’t know how to handle. They gave him praise for false reasons & because their intend is to cause further havoc. 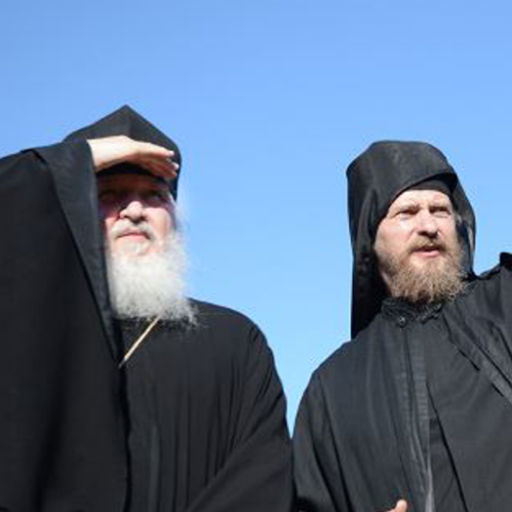 It’s good to come to Orthodoxy because there is none of this noise – although we are seeing the Antichrist response to the Russian state once again giving the Church the floor in regard to rebuilding & healing Russian society. Let us be wary of developing in Orthodox churches the same terrible political virus that animates a certain segment of neocon Catholics. 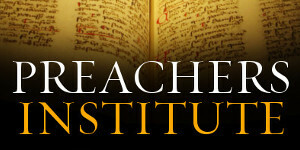 We also need to bringing healing balm to allow people wounded too much to trust Catholic supervision again that permits them to renew or re-establish the joy in the ancient faith for which so many have a great attachment, and to demonstrate that they do not have to drift into the embrace of some “emerging Church ” that accepts degenerate behavior as acceptable. I very much agree with this observation. That sort of approach is usually not very productive and at worst counterproductive. The best strategy is, without being ‘in your face’ is simply to make sure that everyone knows you’re there. Thank you. As one who us struggling to “swim the Bosporous” coming out of the LCMS, it is very comforting. Welcome friend! It’s a well-worn path, and many of us have made the journey. Let us know how we can help. Welcome Paul! Many of us have made the journey, so don’t hesitate to let us know how we can help you! I loved this post. Thanks for such a thoughtful and true reflection. I once spoke at “Theology on Tap” – a meeting of graduate students at the University of San Diego. If that is where your meeting was, Jason, you may have been the only Orthodox Christian at the meeting but there are a number of us on campus. The trouble is that we do not know who the other Orthodox Christians are because nowadays the names are not always Greek or Russian, glory to God! I can identify with your experience of being the odd person out, but your essay brought out the value in it. Especially since you were once a Roman Catholic you have a lot to offer.. I would also like to share the fact that being in a non-Orthodox environment forces us to find ways to express our faith to the non-Orthodox. Thanks again. 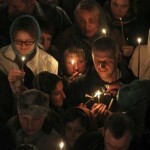 “Eastern Orthodox tendency to over-divinize Christ”?! That’s a new one on me. What in heaven’s name do they mean by that? Orthodox need to overcome these bizarre ethnic jurisdiction divisions. I’m not saying individual people have to sacrifice their unique cultural heritage. The Catholic Church has plenty of ethnic groups within its confines. But there isn’t “St. Patrick’s Irish Catholic Church,” or “Santa Maria Goretti Italian Catholic Church,” “San Pedro’s Mexican Catholic Church,” so on and so forth. They are all found within the SAME parishes. If I were to generalize, maybe you can only find this cultural unity in the Antiochian Orthodox parishes, because they celebrate the Divine Liturgy in the VERNACULAR of the American Nation. If the only Orthodox parish in town only offers Divine Liturgy in Serbian or Greek – or the majority of the holy service is celebrated in foreign tongues – non-ethnic folks will feel like outsiders. “Why would I convert to GREEK Orthodoxy? I’m not Greek.” I hear it all too often. 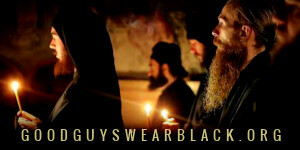 Sorry for the rant- I just believe it’s hurting Holy Orthodoxy in this nation. I don’t think anyone of good will or faith supports brusque tactics or “proselytizing.” But evangelization has to occur one way or another. If it’s not knocking on doors, then would you host an Orthodox Faith information booth/table in the public square? If the information is hidden, then it will never be heard. Perhaps it is in the manner in which Faith is presented? My advice is “Try ANYTHING – even if it’s wrong.” We can’t hide our light under a bushel. 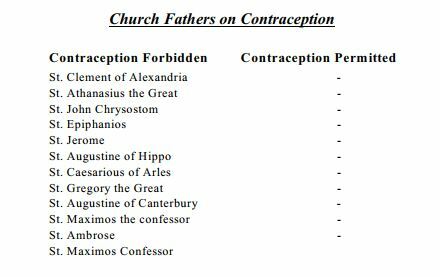 What is the actual teaching on contraception? This is one I cannot figure.